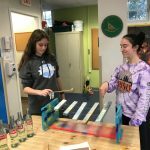 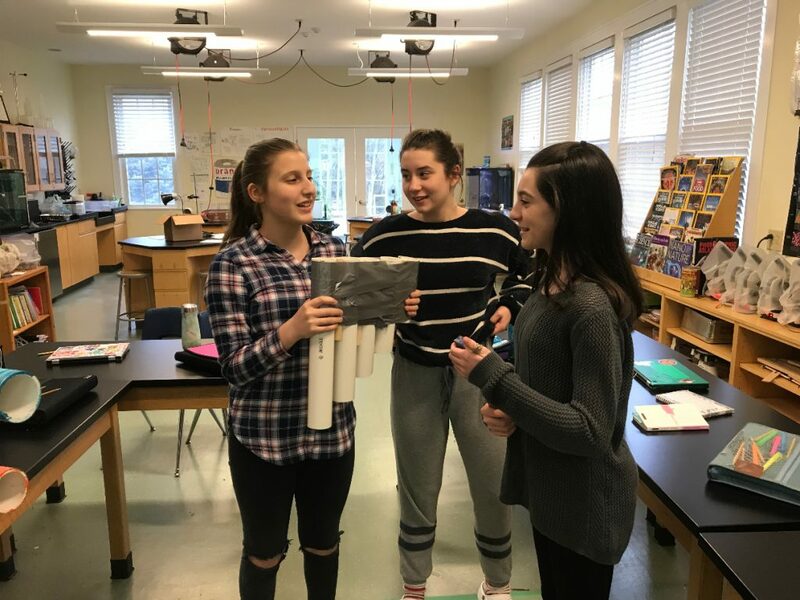 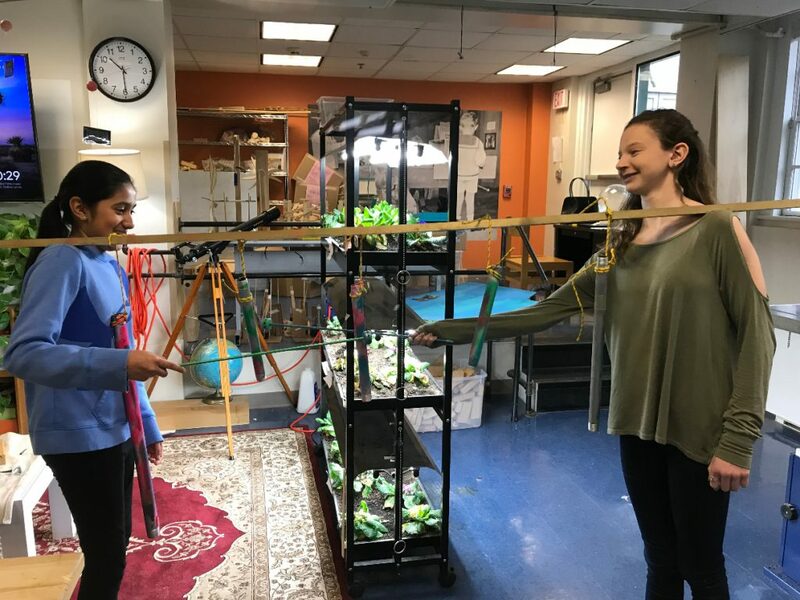 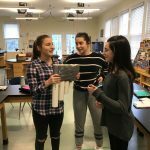 The 8th grade has been studying mechanical waves in science class. 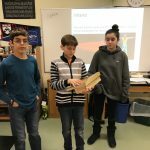 The students learned that one property of a mechanical wave is its frequency. 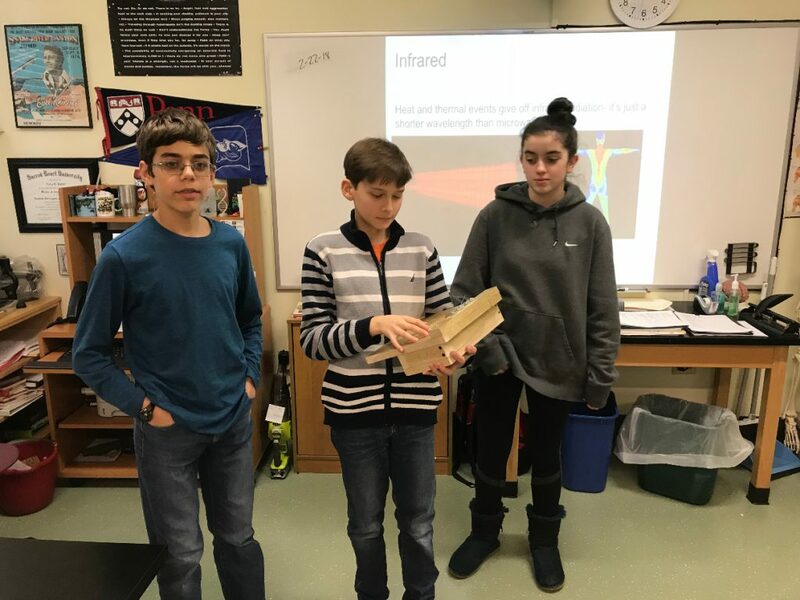 In studying sound waves students realized that the “pitch” of an instrument is tied to its frequency. 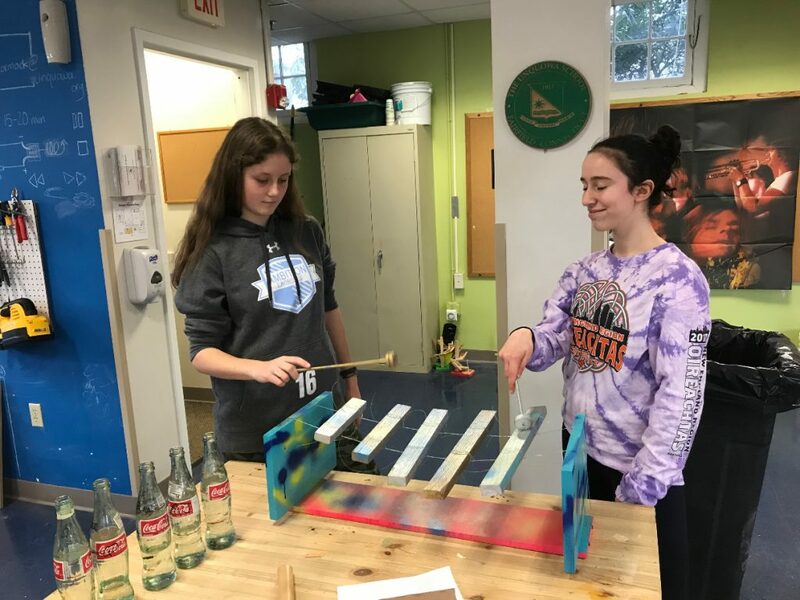 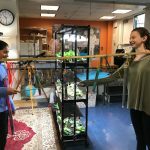 To truly demonstrate this understanding the students made five note instruments in the Makerspace in just three classes, and then played their instruments.